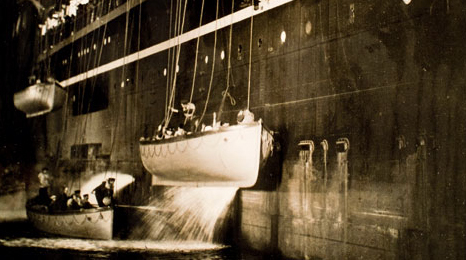 The compelling TV documentary Nazi Titanic: Revealed tells the amazing story of the 1943 Titanic movie, made in Nazi Germany. 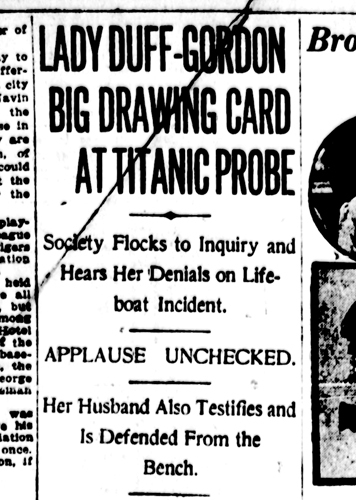 Not only was its director arrested and driven to suicide during the shoot, but the real-life ship that doubled as the Titanic met her own grisly end just two years later, claiming three times as many victims as the Titanic herself. 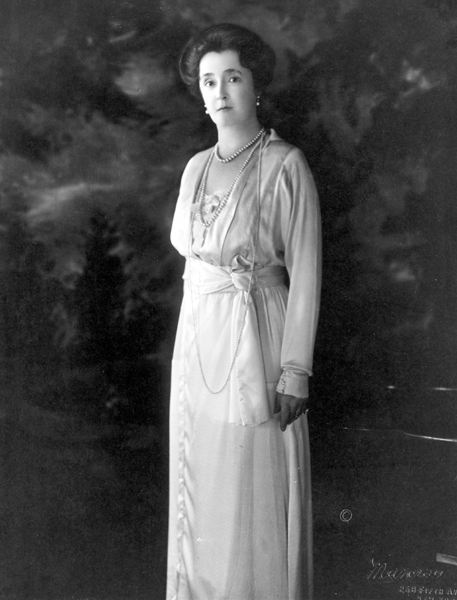 Commissioned by propaganda minister Joseph Goebbels, the film calls the Titanic disaster “an eternal condemnation of England’s quest for profit”. It centres on the struggle between “Sir Bruce Ismay” and John Jacob Astor – depicted as an Englishman – for control of the White Star Line, which is in financial trouble due to the cost of building “the first unsinkable ship in the world”. Boasting that the Titanic will capture the Blue Riband for the fastest-ever Atlantic crossing, Ismay promises Captain Smith $1000 for every hour he’s ahead of schedule when he reaches New York. 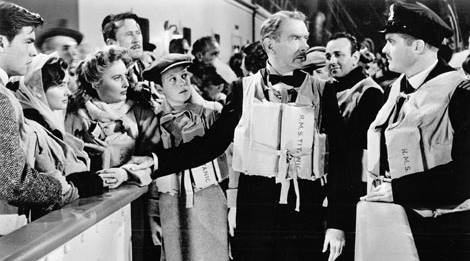 As well as the usual fictitious passengers, from decadent English gentry to young lovers in steerage, the film also features an invented crew member, the young German officer Petersen. 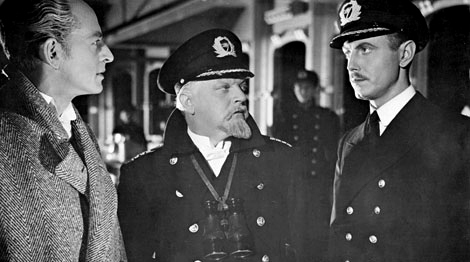 Very much the conscience of the piece, Petersen repeatedly warns Ismay that the Titanic is sailing too fast, with too few lifeboats, into an ice zone. When the inevitable happens, both Ismay and Astor try and fail to buy their way onto a lifeboat, but Petersen helps Ismay to escape anyway, so he can be held accountable for his actions. Petersen too is rescued, after he swims out to a lifeboat carrying a little girl. The two men have a final confrontation at the subsequent inquiry, only for Ismay to be exonerated, and all blame placed on Captain Smith. Incidental moments en route include a girl rejecting her parents to follow the man she loves; a debauched dance in the third-class dining room; and even, as in James Cameron’s Titanic, a jewel thief being rescued from the ship’s jail by the judicious use of an axe. 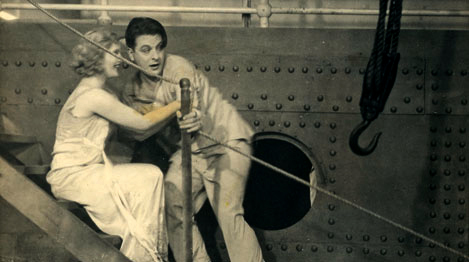 The climactic scenes were filmed aboard the Cap Ancona, a liner requisitioned by the German navy. After director Herbert Selpin complained about the behaviour of the ship’s real-life German officers, his co-writer denounced him to the Gestapo. 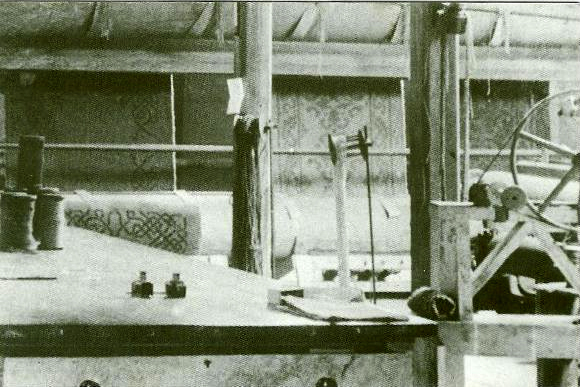 Within 24 hours Selpin had been interrogated by Goebbels himself, and found hanged in his cells. The Cap Arcona also met with catastrophe; she was sunk by British fighter planes the day before the war ended. Five thousand concentration camp inmates, who were being shipped to an unknown destination, lost their lives. 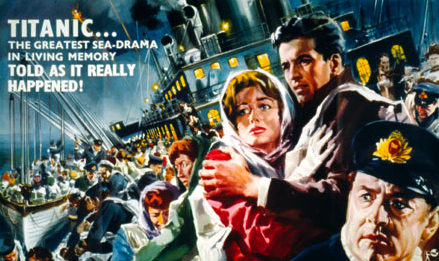 The so-called “Nazi Titanic” will be shown at the NFT2, BFI Southbank, on April 18 at 6.20pm, and April 25 at 8.30pm. This remarkable footage, from the BFI archive channel on YouTube, shows the construction of the Titanic’s “older sister”, the Olympic, in 1910. The Olympic and the Titanic were built side by side in the same enormous gantry at Belfast’s Harland & Wolff shipyards, surmounted by 214-foot cranes. Fifteen thousand men worked on the two ships; up to eight of them are thought to have lost their lives. For the initial overhead sequence here, the camera must have been somewhere near the top. Sadly, when it moved down to ground level, the operator resisted panning far enough over to reveal the Titanic, which must have been already taking shape. The Olympic was eventually launched later that year, on October 20, and set off on the first leg of her maiden voyage on May 31, 1911, the same day that the Titanic was launched. Although the Titanic was subsequently modified to provide extra passenger comforts, the two ships were all but identical. Historians seeking to debunk the myth that the Titanic was considered “unsinkable” thus point to the fact that there’s no record of anyone making similar claims about the Olympic. 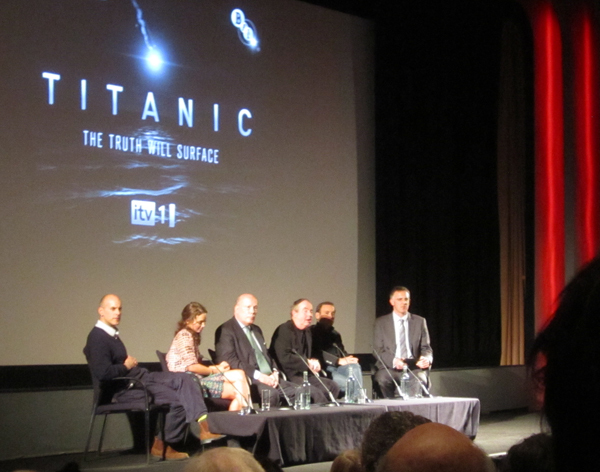 Many thanks to Simon McCallum at the BFI for inviting me to post the clip on Blogtanic.